Thinking about purchasing a new car? 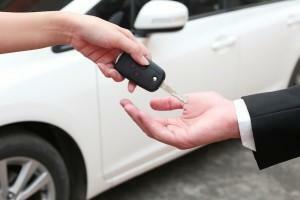 Buying a car can be a grand undertaking and trying to find the perfect one can be grueling. You’ve probably scouted the internet learning facts about certain cars you are interested in. However, have you thought about what features to look for in a car that will be beneficial with the Colorado weather? Well if not, here are some helpful tips when thinking about what vehicle to purchase to drive on the roads of Colorado. Vehicles with 4 wheel drive (4WD) provide for the best ability to drive in snow as it is the best for actually getting through the snow. However, 4WD does little to help with ice and traction in turning corners or braking. You can always go with all-wheel-drive (AWD) for added traction, though it’s not for deeply snow-packed roads. If this doesn’t work for you, you can always go with a front-wheel-drive (FWD) car or crossover. FWD cars place more weight over the drive wheels and “pull” rather than “push” the vehicle, so they tend to do better in snowy and icy conditions than rear drive cars. It is best to avoid rear wheel drive cars on Colorado roads in the winter. There is so much to do in Colorado, and the state is pretty big. So if you like traveling long distances it is pretty important to make sure you get a vehicle with comfortable seating for those long drives. ESC is extremely helpful for winter driving. The control system helps prevent loss of control of the vehicle and spinning out, which is common in winter road conditions. ESC systems use sensors and a microcomputer to continuously monitor a driver’s steering. The control system applies the car’s brakes or modulates engine power, which helps the driver to maintain control of the car. According to the National Highway Traffic Safety Administration, as of the 2012 model year, the government requires ESC on all passenger vehicles. Anti-lock brakes are now standard on all passenger vehicles produced as of the 2012 model year. An anti-lock braking system uses sensors to monitor the rotational speeds of the wheels when you hit the brakes. If a wheel locks up, the control unit of the system applies and releases braking pressure multiple times per second to assist with control of the car. Anti-lock brakes can be extremely beneficial on wet and slippery roads. An engine block heater helps your car start and warm up faster in frigid temperatures, which is extremely handy in Colorado winter weather. This type of heater is also helpful in reducing cold-weather stress on the engine. The engine is comprised of metal parts that are designed to expand while the engine is on. If cold weather prevents expansion from occurring, damage can result; therefore, the pre-heating from the heater makes this damage less likely to occur. This is a newer system that uses various types of sensors, such as cameras, radar or light detection to detect vehicles in front of you. This type of system has been known to decrease the percentage of property damage liability claims by those vehicles that are equipped with the system. Snowy and icy weather can cause your wipers to become frozen, immobile, or unusable. Windshield wiper de-icers thaw your wipers so that they don’t stick to the glass when the wipers are used. You of course don’t need winter tires all the time. However, they are something to consider as an additional purchase for your vehicle. Winter tires are designed to improve your vehicle’s traction while accelerating, braking and handling in winter weather conditions. Another option would be to invest in all-weather tires. While they may not work as well as winter tires, they are more versatile and are also appropriate in nice weather. Adaptive headlights help drivers to see better on dark, curvy roads. By using a sensor system, information is sent to adjust the headlights so they fall directly on the road ahead. According to research from the Highway Loss Data Institute on adaptive headlights offered by Acura, Mazda, Mercedes and Volvo, it found that property damage claims fell as much as 10 percent. It gets cold in Colorado, so heated seats and steering wheels are a nice luxury. Heated front seats are now a pretty common feature, and you can even get them in some models for the rear seats. Also, did you know you can look into getting heated side mirrors? They work much like a defroster and are available on most newer vehicles. Of course you don’t need to have all of these features in your car. They are merely things to think about. However, in the end, some of these may be helpful for decreasing the risk of a car accident, particularly when weather turns bad.